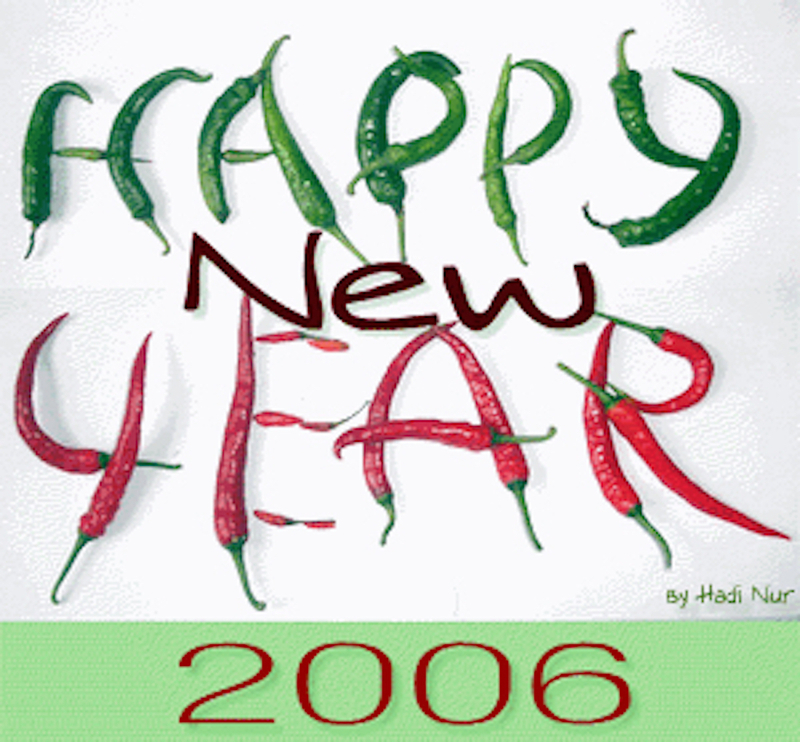 Words “Happy New Year 2006” are made with Capsicums. Capsicums belong to the family Solanaceae. Many peppers are produced by the plant classified as Capsicum annuum variety annuum. Those that bear the fruit known as pod pepper, red pepper, or capsicum are placed in the longum group within Capsicum annuum variety annuum, those that bear the green or red sweet pepper are placed in the grassum group within Capsicum annuum variety annuum, and the hot pepper is classified as Capsicum frutescens.